An interesting and educational look back at British 20th Century life through every day items. 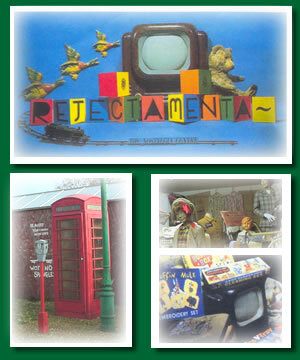 More than thirty themed displays of schooldays, radio, office equipment and toys etc. See life as it used to be! On a stormy night in November 1706 Warship Hazardous was wrecked in Bracklesham Bay, West Sussex. This 4th rate warship had served in both the French and English Navies and was a product of the political instability and conflicts of the 17th and 18th centuries. Almost 300 years later the ship was rediscovered by sport divers, which sparked archaeological investigation of the wreck. Over the past twenty five years Hazardous has been revealing details of ship design, armaments and life on board. Our collection of Artifacts tells the story of her final days. Please note the HMS Hazardous Shipwreck Display is not accessible to wheelchairs.